New Leaf designs, sells, and installs a wide range of custom cabinetry for your kitchen, bathroom, laundry room, bar, den or office. 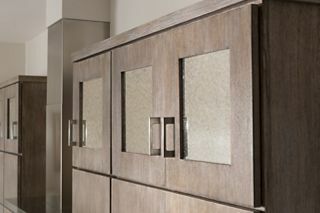 We have hundreds of door style and color options availble for you to view in our Tacoma, WA Showroom. 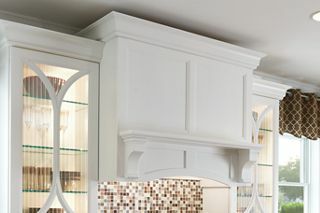 We can do custom widths, heights, and depths as well as dozens of other modifications to make your cabinet project truly unique. Contact us today to get your project started. Here are just a few examples of what we can do to make your kitchen or bathroom one of a kind. 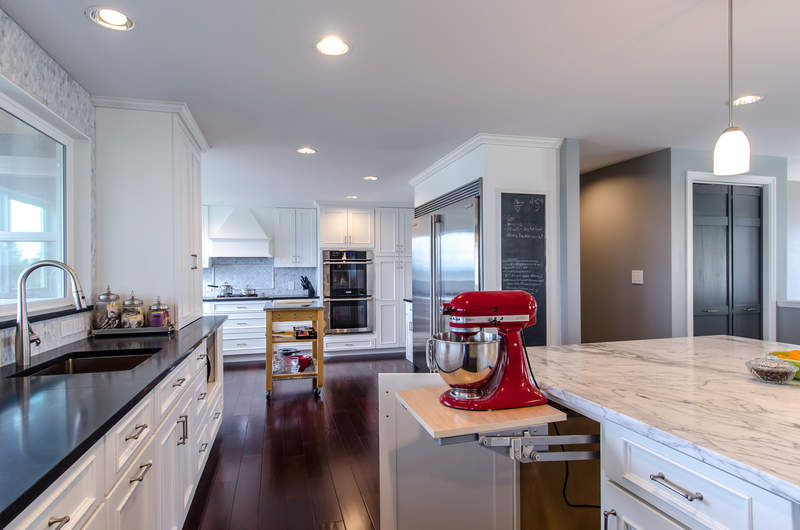 Don’t forget to checkout our project gallery for other real life examples of custom cabinet work completed in the Tacoma, Gig Harbor, and surrounding area. At New Leaf, kitchen cabinets and countertops are our specialty. A well-organized and functional space is a beautiful thing. Kitchen design trends come and go, but a properly functioning kitchen properly constructed with well made cabinets and durable countertops will last a life time. 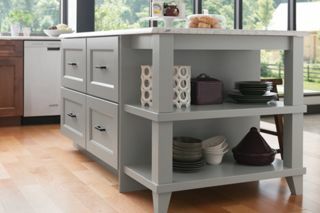 Building a long lasting kitchen requires planning, a good reliable contractor, and most importantly: quality materials. See our custom kitchen cabinet page for more details on our cabinet offerings and don’t forget about countertops. Open concept kitchens with large island cabinets are dominating the housing market, especially in the Tacoma and Puget Sound areas. The focal point of any open concept kitchen is definitely the island. Don’t let stock cabinets limit your options. 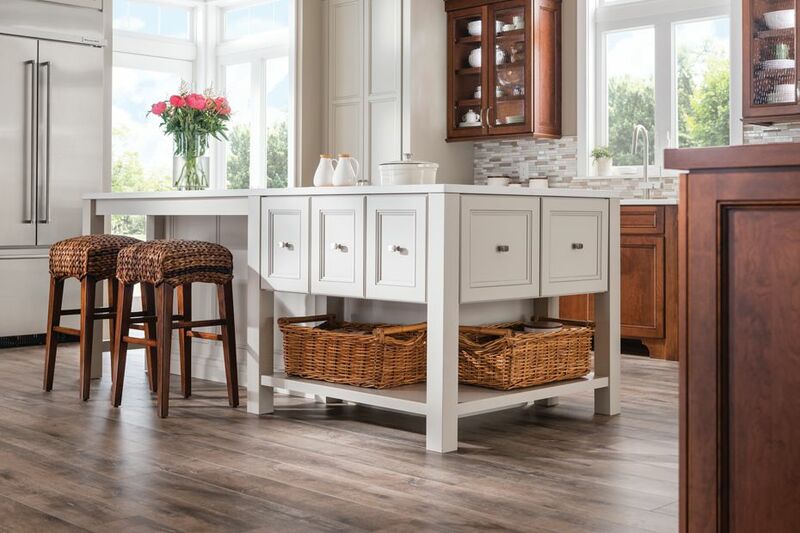 Use our semi-custom cabinets to create a functional and beautiful kitchen island. Whether you need deep drawer storage for your pots and pans, or seating for your friends and family, we will include you in every step of the design process to make sure your kitchen layout is perfect. Look at some of the islands can build for your kitchen. We can build a custom range hood cabinet that will set your new kitchen apart and make your new kitchen the envy of all your friends. The price of a custom built in range hood, including the exhaust fan and the cabinet, are typically not much more expensive than a stand-alone appliance style hood, but will go a long way in making your kitchen look completely luxurious. We offer several different styles of one piece hoods that can be easily incorporated into your kitchen design as well as more elaborate, fully customizeable options for the in home chef. One piece transitional hood. Door style Clark Raised Panel in a Cherry Ginger Snap stain. 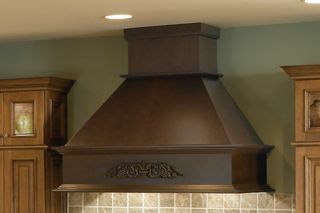 One piece hood with built in mantel. Door stile is Morris Flat Panel in White Icing Classic Paint. 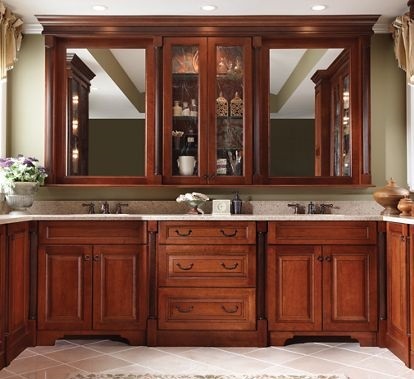 Our bathroom vanity cabinets are made to order from top quality American hardwoods. Don’t want to settle for a low quality big box store vanity? Have an awkward plumbing situation or simply need a custom size? Looking for a floating vanity? We can make a single, double, or even triple sink vanity in any width, depth or height. We have unlimited amount of options when it comes to configurations. Your bathroom should embrace your layout, not be limited by it. Need a vanity top? Check out our counter top pages, or stop by our countertop fabrication shop in Tacoma to look at remnant pieces that we can make into a countertop and save you hundreds of dollars. Adding glass doors to your kitchen or bathroom cabinets is a simple way to add light or character to any space. We have a wide variety of glass options that can be added to almost any door style ranging from clear to stained and frosted. We have a wide selection of custom office cabinets that can be configured in countless ways to create a desk that is perfect for your needs and your space. Combine it with a granite or quartz countertop for a truly executive desk experience. 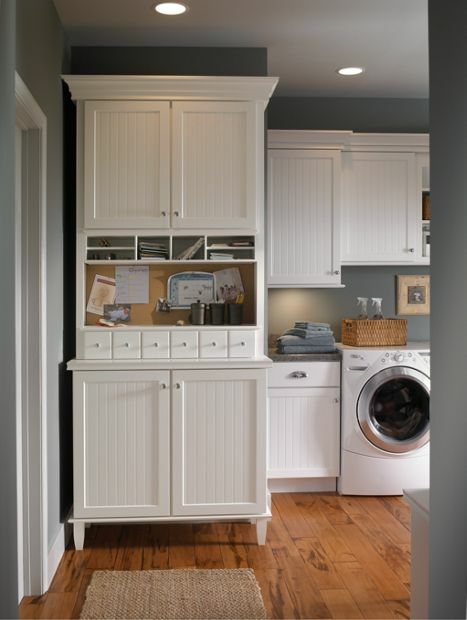 We can also build bookshelves, storage cabinets, garage cabinets, laundry room cabinets, and more. Visit our showroom next time you’re in downtown Tacoma. 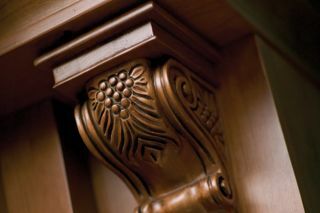 We can make corbels with a matching finish that can be used as decoration to give the cabinets in any room a more built in look, or they can be completely functional when used to support an overhanging countertop. It’s the small details like this that can make or break any home remodeling project.